The Everyday Essentials collection from Mikimoto presents this station necklace that you can, and will want to, wear on a daily basis! 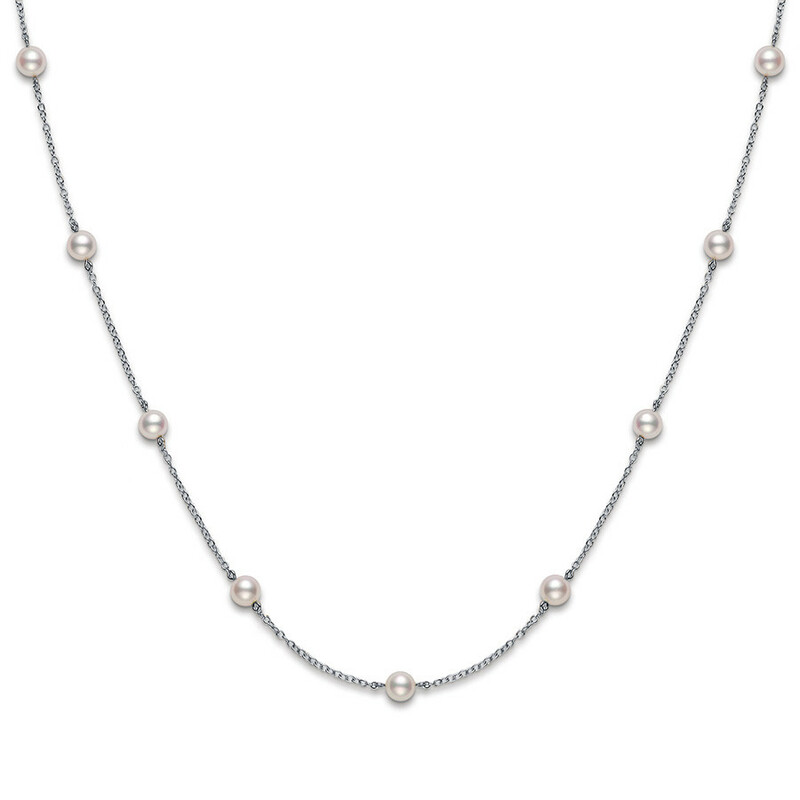 Crafted in gleaming 18kt white gold, it features 5.5mm Akoya cultured pearls positioned at evenly spaced intervals along its 18" length. A timeless fashion classic, this necklace will make a wonderful addition to your jewelry collection.